With onsite delivery of containers or bulk freight, we can provide a lift with our Hiabs or Swinglift. 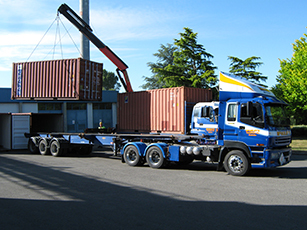 20ft or 40ft containers delivered to site or relocated on site, delivery of water tanks and relocation of small buildings. 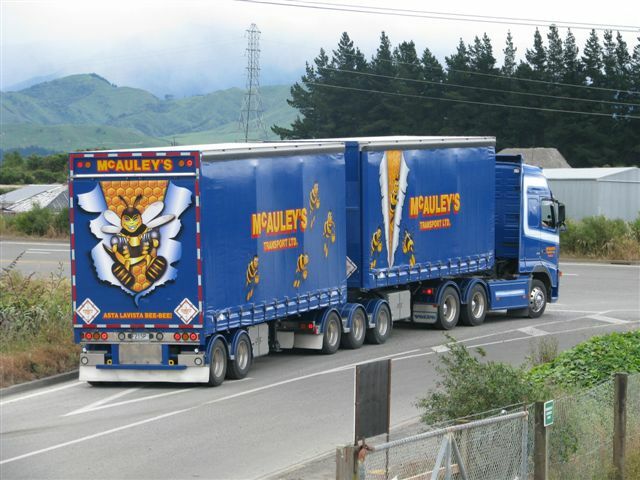 McAuley's Transport Ltd have been operating since the 1960s. We are a progressive, forward thinking Company that prides itself on its "hands on approach". 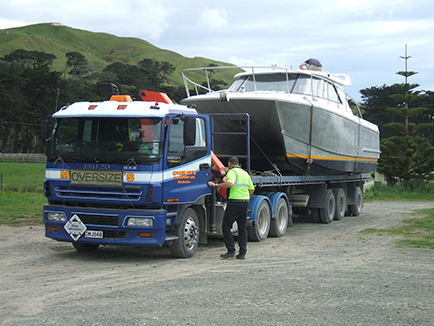 We are the leading freight & Transport Specialists" in the Wairarapa providing a wide diversity of solutions for all transport requirements. 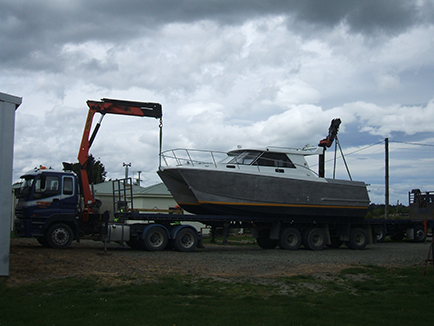 Nationwide Freight Service: Among many other things we provide a Nationwide Service which includes daily runs to Palmerston North, Wellington, Napier, also via our subbies we run a daily service New Zealand wide. 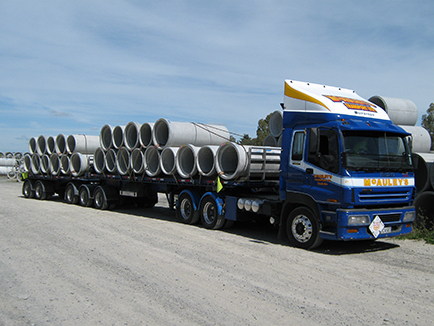 McAuley's Floating Fleet deliver weekly to New Plymouth, Tauranga, Auckland, Christchurch, Cromwell, "NZ Nationwide"
We can offer a broad range of transport solutions for cartage of concrete blocks, pavers, tanks, troughs and Panels. We also cart concrete product, and when required can deliver on site with our hiab crane trucks. 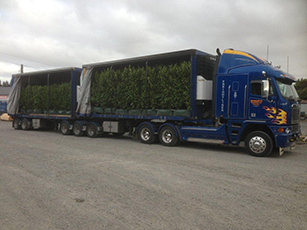 Our Curtainsider Fleet also run nationwide we have a range of Truck and Trailers to Artic semi Quads and B Trains. 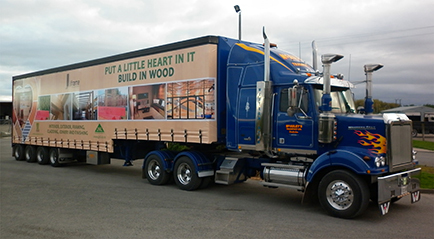 Truck & Trailers cart General freight, timber, wool, paper, you name it we cart it. 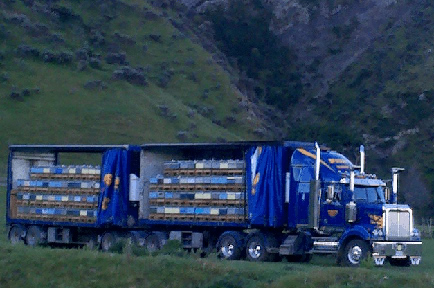 B Trains We have two chiller units that run all over New Zealand carting anything from dry goods to live Bees. 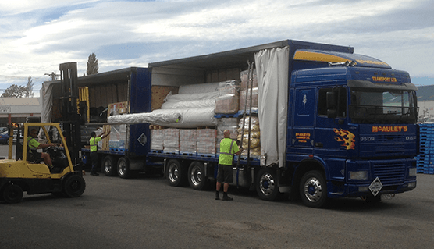 Our Taillift trucks are based in the Wairarapa out of our freight depot. McAuleys Transport Ltd operate two Pailfinger cranes. PK 15500 is on an Artic Tractor unit operated by Stuart, who has over 20 years experience in operating Hiabs. This hiab has a lift of 1030kgs at 12 metres and 3000kgs at 4 metres. 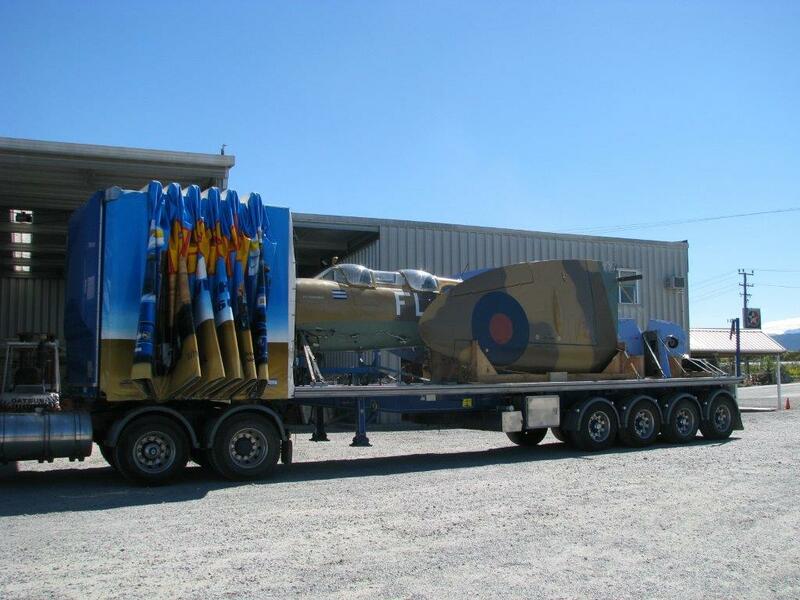 PK29002E is on the rear of a 4 axle truck which is operated by Nigel, who has over 10 years experience in Hiabs. 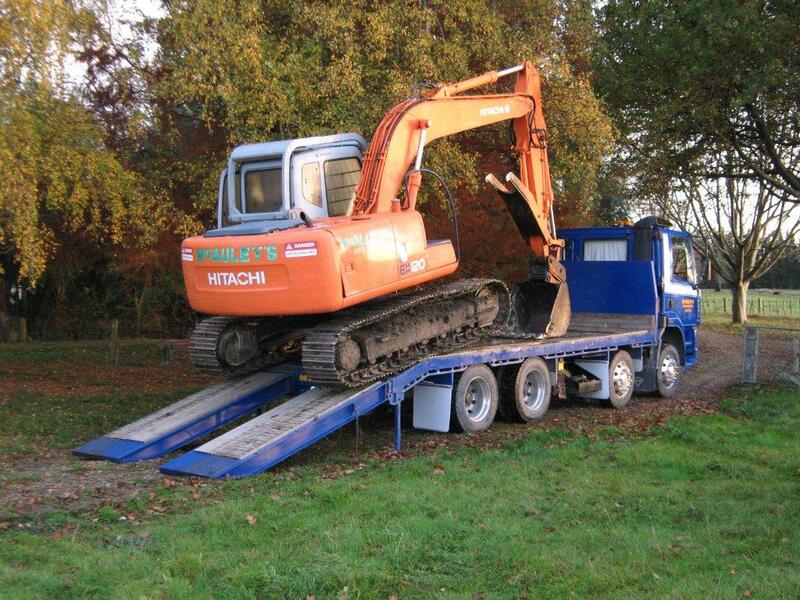 This hiab has a lift of 1150kgs at 17metres and 5500kgs at 4 metres & 7000kgs close in. 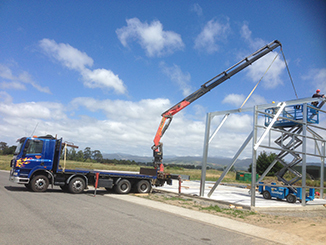 We currently have a Steelbro 20-40' swinglift operating around the Wairarapa, Wellington and Palmerston North areas. 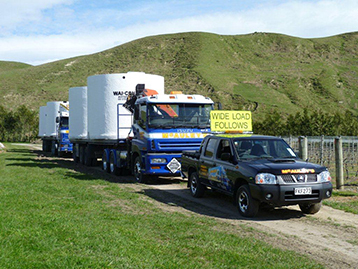 McAuley's Transport Ltd are Wairarapa's only Registered Water Carrier, with a fully approved Risk Management Plan in place. We have two tankers to service the area, providing fresh water to fill farm tanks and new tank installs. 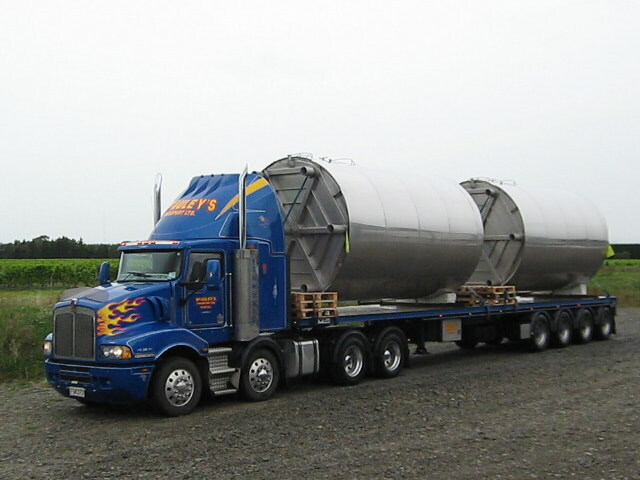 McAuley's Transport Ltd are experienced with all types, shapes and sizes of loads from planes to trains including water tanks, steel and timber frames, silos, sheds-cabins, and we also offer a Pilot Service for all Overdimensional loads, when required.